FIT FOR: 1984-2001 JEEP CHEROKEE XJ 4DR SPORT UTILITY MODEL ONLY WILL FIT 1997-2001 JEEP CHEROKEE XJ MODELS WITH ADDITIONAL MODIFICATIONSIMPORTANT NOTE: ITEM WILL ONLY FIT OEM BODY STYLE UNLESS OTHER SPECIFIEDINSTRUCTION NOT INCLUDEDPROFESSIONAL INSTALLATION HIGHLY RECOMMENDEDTEST FITTING IS REQUIRED TO ENSURE FITMENT. Fitment: 84-01 Jeep Cherokee 4 Door only Item Included: front and rear flares and all necessary hardware. Style: Pocket-riveted style Materials: UV protected OE approved ABS plastic construction Color: OEM satin black textured finish Features: *Our NEW XJ Jeep wrangler flares combine tough protection with elegant styling to enhance and safeguard your Jeeps appearance. Made from high impact thermoformed materials our flares combine maximum durability and flexibility with rugged good looks. Whether driving on the street or your favorite off-road trail these flares will protect your Jeep from any road condition. *These flares require cutting the factory sheet metal along the fender well. This design will provides rock solid installation and additional room for large tire installation. *OEM grade materials- Harsh weather and harmful UV light will not affect our flares. Made from High impact thermoformed materials these flares combine tough weather protection with elegant styling to enhance and safeguard your vehicles appearance. *Best of all our flares are Made in the USA which assuring quick shipping and maximum quality. 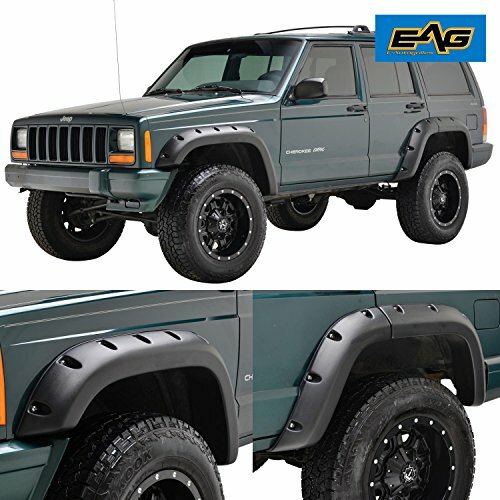 Be ready for anything – equip your Jeep Cherokee with Bushwacker Flat Style Fender Flares. They’re the first and only flat style flares made to absorb impact, using our proprietary Dura-Flex(R) 2000 TPO – the thickest, most flexible material available. 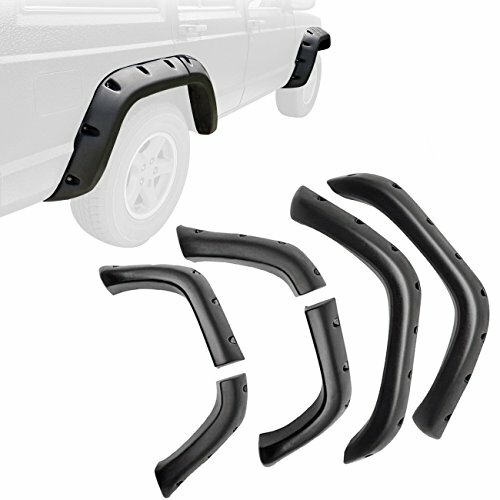 Flat Style Fender Flares maximize your tire coverage and wheel articulation for severe off-road use. Yet they’re carefully engineered to install with a minimum of extra tools and bodywork (see the installation guide for your specific vehicle for details). For example, our mounting brackets bolt straight onto your Jeep for added strength and simpler fitting. Our design integrates neatly with the factory rocker guards and fully molded wheel well protection. The flares are 100% UV protected, too, to stop chalking in its tracks. If you want the look – and the real-world performance – that best fits an American icon, nothing goes with your Jeep better than Bushwacker Flat Style Fender Flares. For extreme off-road use, there’s nothing else like Bushwacker Cut-Out (TM) Fender Flares. 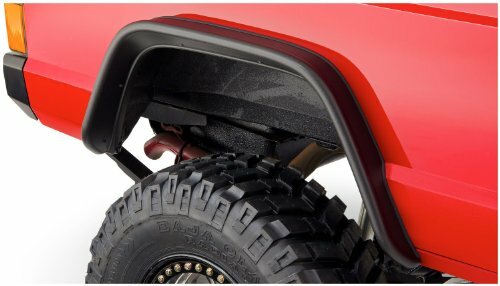 Each set of Cut-Out (TM) Fender Flares is individually designed for your Jeep CJ Series, to maximize off-road wheel travel and maintain adequate tire coverage. That custom approach means a smoother appearance, greater strength, and easier bolt-on installation with tough stainless steel hardware. As the name says, Cut-Out (TM) Fender Flares require cutting body sheet metal to achieve maximum articulation and coverage for oversized tires (see the installation guide for your specific model for complete details). Cut-Out (TM) Fender Flares are made from thick, warp-proof Dura-Flex(R) 2000 TPO, our own proprietary material, engineered for added durability and flexibility in severe conditions. Its UV protection guards against chalking, while its pro-grade matte black finish looks great as-is, or custom painted to create your own personal look. 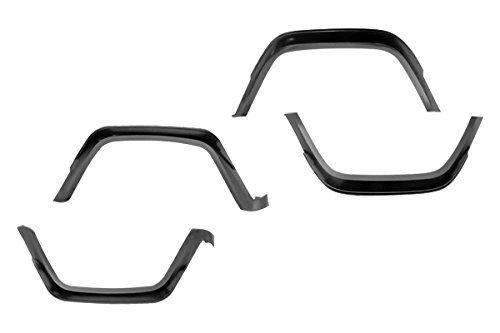 Cut-Out (TM) Fender Flares offer extreme performance with style to match. 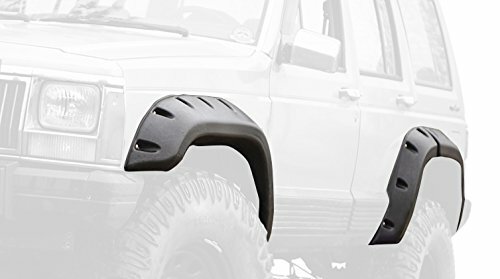 This 4 piece replacement fender flare kit from Omix-ADA fits 84-96 Jeep Cherokee XJ. Includes all 4 flares, but no mounting hardware. 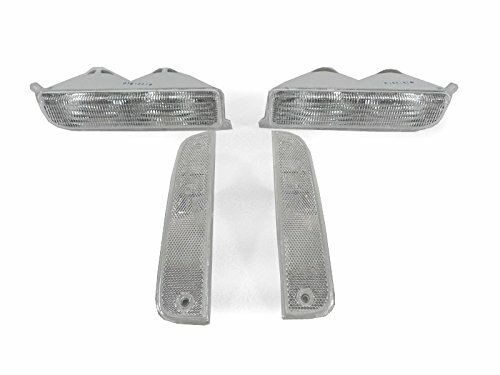 Omix-ADA has you covered when it is time to replace your factory fender flares. Each flare is constructed of virtually indestructible, durable, UV treated thermoplastic to provide years of service. Each replacement flare is designed to fit into your factory mounting holes (if factory hardware is rusted, some hole modification may be needed. )This four-piece kit includes all four flares, but no mounting hardware. 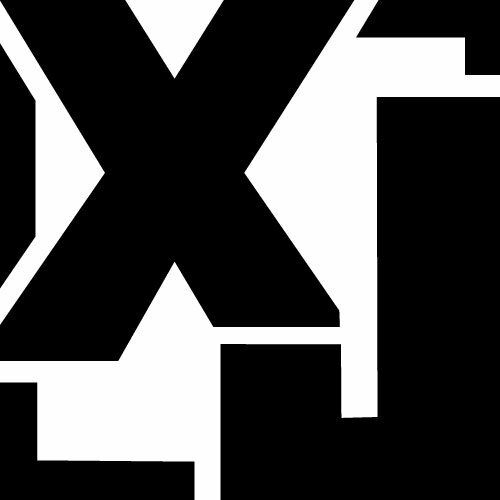 Compare prices on Jeep Cherokee Xj Fender at ShoppinGent.com – use promo codes and coupons for best offers and deals. Start smart buying with ShoppinGent.com right now and choose your golden price on every purchase.